Building a website from scratch should be backed up by experience and knowledge in matters SEO. Unfortunately, individuals that are not well versed in SEO often find the journey to creating a robust online presence confusing, tiring, and frustrating. Fast forward, here are some proven steps to build your online presence. Building a solid online presence requires you to set goals and work towards them. One needs to come up with a plan, set time-frames, and strategise on ways of achieving the set goals. You also need to itemise you significant objectives or split them into smaller goals – to make your goals seem attainable. Being a dominant force online starts with having a website. Your site is the focal point for all business communications and where your visitors get to learn more about your brand. However, attaining these objectives can be far-fetched if your site is drowned in the midst of content on the web – and this is where expertise in SEO comes in. 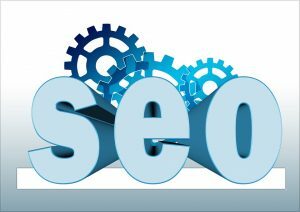 If possible, the best way to go about this is to get in touch with SEO professionals. Once your eyes are set on a specific goal, you need to keep moving towards your goal. Whether it is on your blog or social media sites, always strive to provide value to your customers. Adding value helps you attain credibility in your area as you slowly work towards being an authority, which is vital for search engine visibility and online growth. You need to keep monitoring whether or not your hard work is paying off. Instead of just doing what you do best and expect things to fall in place, keep track and also be patient. Keeping track and embracing patience might seem contradictory in a way. Things just don’t happen in the online world – you need to be patient as well.